A Start up is born when an innovative idea meets with Funding, be its own or from VC, Angel investors. How good is the Idea to build the commercial business ? How to validate the business idea and business assumptions? Will the new venture succeed and sustain? How to convert the Idea from Concept to Commercialization? What are the likely resource bottlenecks that should be overcome in start up phase? How the venture will manage competition and business environment and controls? How can we plan and organize knowing the Risk/Return Matrix? Will the venture attract Funding? How can we grow and scale the business? Do we add value to the business? We help you to validate your idea, refine the Business model, strategy and scalability so that the prospect of commercial success is high. Only scalable, commercially viable projects would attract funding. So, validation will save time, money and efforts for Start ups to decide the next steps whether to proceed with funding and decide the scale of operations. We have devised a unique 9 C Strategic Framework and will analyse your detailed Business Plan to evaluate the attractiveness of your start up and its operational model. This will help in planning for realistic projections, sales volumes, operational risks and returns to decide the quantum and phases of funding. We have a partner eCoSystem to support your early stage efforts that has selective tie ups for Funding. We offer mentoring services for early stage field validation or during the process of Funding which may take around 3-6 months or more. Our services will help you achieve a strong foundation for your start up to sustain and grow in tough market conditions. 1) Feasibility Plans: This is done to check the feasibility of your business and revenue model Vis-a-Vis Industry structure and competition. A financial modelling can be done to check numbers at different scenarios and decide on the project. This can be prepared in addition to Verification/Validation exercise. 2) Business Plan for Debt Funding: This is simple form of Business Plan prepared to service a Capital asset purchase from Debt Funding, Term loans, working capital loans, Line of credit or OD facilities. Here importance is given for the Debt coverage and to determine the ability of the firm to repay interest and principal. Banks may not really worry about strategy or benefits for customers or society or growth models. 3) Business Plan for Angel/VC/PE Funding: This plan is an outcome of detailed consulting exercise where your Business model, attractiveness of industry sector, competition, revenue model, Risks, Growth prospects, Management team, execution model are evaluated as it is Equity capital. The Financials will be elaborate to cover all the assumptions and your chances of funding are as good as validating the business assumptions and ability to execute the numbers as per plan. It is done for next 5 years of projection. 4) Business Plan for Internal operations: This requires well detailed strategy plan as required for Funding and is further expanded for every function for the next one year, to set operational goals, measure achievements, conduct reviews, plan corrective action and manage day to day cost. Sales/Marketing plans, Production, R&D, HR plans will fall in this catagory. You can Consult any of the advisers in ENSO upon sending us the details about your Business, Your queries and other inputs. It can be over phone or Skype and Charges are Rs 5000/ per Consultation and Rs 2000/ for Student/1st generation start ups who wish to discuss on their Business Idea and prospects of successful commercialization. Step 4: Upon Successful Funding, 1% of Funding Value as Finder’s Fee. 3) End to End mentoring during Funding cycle, Alignment of Strategy to Business operations, Participate in investor meetings with client, Funding Negotiations, advisory on Term Sheet, Due diligence and Pre/Post Funding Compliance frame work. 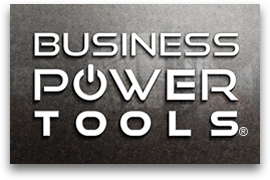 BizPlan BuilderENSO is an affiliate of Business Power Tools, US. To know more or to use these tools please contact us. Concept Note +Start up Dilemma whether to start. Importance of verification, validation and Concept note. Employee 2 EntrepreneurTransitioning from Employee 2 Entrepreneur.